Finding a restaurant can be difficult, especially when you don’t know where to look or don’t really know the area. For those who are staying on or near Lake Anna, VA, you are in for a treat! There are several Lake Anna restaurants that serve mouth-watering dishes which you will absolutely love! There aren’t “rows” of “chain restaurants” at Lake Anna, so you’re going to need to know about these little jewels ahead of time. Lake Anna restaurants by boat? How cool is that? If you are traveling by boat and get the munchies, Lakeview Restaurant is the perfect place for you. The restaurant overlooks the lake and serves variety of goodies such as prime rib, burgers, and Italian cuisine. The prime rib is served every Saturday night and is a favorite. They also offer nightly specials. Lakeview Restaurant is located at Hunter’s Landing on Lake Anna. They are not open on Mondays or Tuesdays. For those of you that want a “sophisticated” dinner out, then you will want to head to Tavern on the Rail. This classy restaurant is located on Route 618, about 5 miles outside of Mineral, VA. With a rustic style and cultured atmosphere, foods that are lavish, and a relaxed surrounding, you cannot miss coming here and experiencing it first-hand. They serve weekly seafood specials, special cut steaks, numerous beers from around the world, and of course their famous Train Wreck Dessert. In addition to their top menu, the Frederick’s Hall casserole is a must-eat in the Tavern on the Rail. True Lakers eat here once a month for the All-You-Can-Eat Crab Legs night. Is it getting hot out? 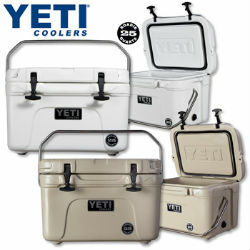 Do you want something delicious that will also cool you off? Then grab some some over-the-top ice cream at Carl’s! We say over-the-top because it is no ordinary ice cream; they make it using an Electro Freeze ice cream machine that is from the 1940-era. They only use fresh ingredients. 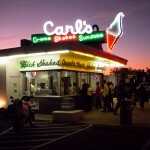 Carl’s serves various flavors of frozen custard, chocolate, vanilla and strawberry. They are open from mid-February to mid-November. Carl’s is located at Princess Anne Street, downtown Fredericksburg, a 30 minute ride from the lake. Fredericksburg has a range of small cafés, shopping and restaurants, but many of the local favorites are not well-known outside the area. If driving doesn’t bother you, there are two wonderful Lake Anna restaurants in Culpeper, VA: The Hazel River Inn and It’s About Thyme. They are located just down the street from each other, a 35 minute ride from mid Lake Anna. Just follow Route 522 North into Culpeper and turn right onto Davis Street. Chelsea Jo is a dining tradition among Lake Anna restaurants. On Wednesday nights, they serve their popular half price burger. Since this diner is a tradition, it can be hard to get a table, so go early. You can eat outside if the weather is good, or inside for a more cozy dinner. You can find Chelsea Jo’s Restaurant on Route 208 just across from Sturgeon Creek Marina. 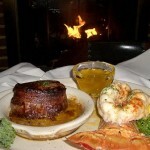 Olde Town Steak and Seafood has been an area favorite for many years now. This Lake Anna restaurants was actually voted “Simply the Best” Seafood and Upscale Restaurant by a Free Lance Star annual readers poll. It is located at 1612 Caroline Street. Do you suddenly crave for pizza? No problem…Domino’s Pizza is now delivering to Lake Anna! Just call to order. Pick-up and delivery available. Other Lake Anna restaurants in the area include BB’s Barbecue Express, Hunan Best, Landing, Mineral Restaurant, Subway and Tim’s at Lake Anna Restaurant and Crabhouse.